Use the Advanced settings to change system-wide settings or advanced options related to Shiplark. 1. Application: In this section you can configure General Application settings, Application logs, Error messages etc. 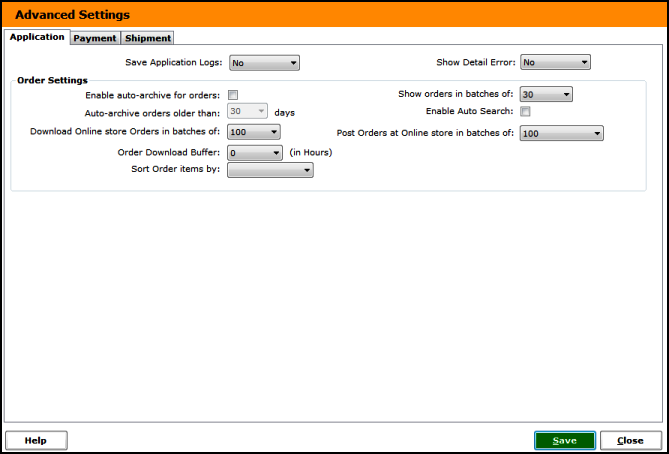 You can also configure the batch size for products and orders download. 2. 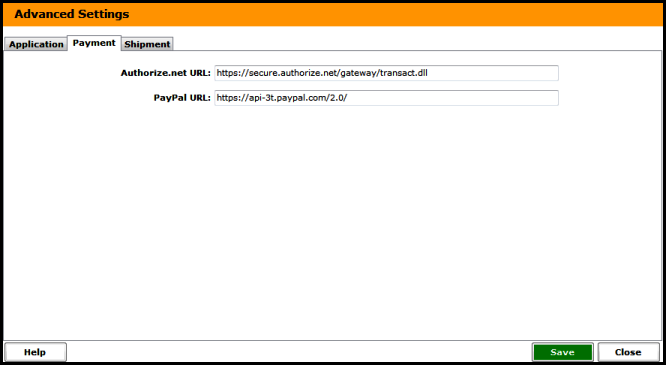 Payment: In this section you can configure advanced payment settings such as payment processor URLs. 3. 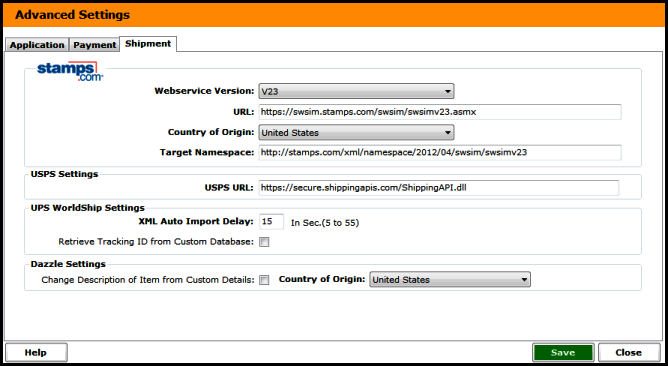 Shipment: In this section, you can configure advanced settings for your Shipment processing such as USPS URL, Stamps.com URL and set the XML auto import delay for UPS WorldShip.